Maroma Resort and Spa by Orient-Express is located Maroma Beach barely 20 minutes from Cancun's International Airport (CUN). This resort is located in the state of Quintana Roo, on the Mexican Caribbean, at the Riviera Maya. Perched directly on the shore of a gleaming white sand beach and protected by a plantation and jungle preserve, Maroma Resort and Spa by Orient-Express on the Yucatan Peninsula, evokes feelings of balance, harmony, and spirituality - a combination of qualities that, though rare, seem to come easy to this hacienda-style escape. 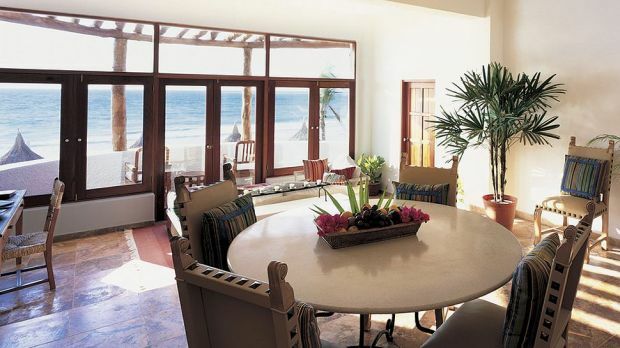 Just far enough from the crowds of Cancun, Maroma Resort and Spa by Orient-Express is nestled into a private jungle and wrapped in a labyrinth of paths bordered with clipped hedges and terracotta pots filled with jungle flowers in every hue. Bordering the crystal blue Caribbean Ocean, Maroma Resort and Spa by Orient-Express has 65 rooms along with tennis courts and three privacy-assured swimming pools ... not to mention the Kinan Spa, the hotel's showpiece and (in many ways) raison d'etre. While visiting the spa is a given, making a reservation to enjoy Creole cuisine high above the treetops in the private tower room is also a must-do. 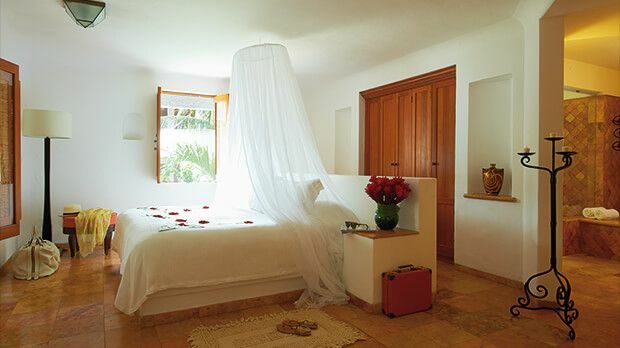 Send an availability request with your requested dates to the Belmond Maroma Resort & Spa . Features 1 King or 2 Twin beds, terrace, bathroom, sunken bathtub and Wi-Fi Internet. The Deluxe Garden View room can be configured with King size bed or two twin beds. Also can be connected to a Master Suite Ocean View. 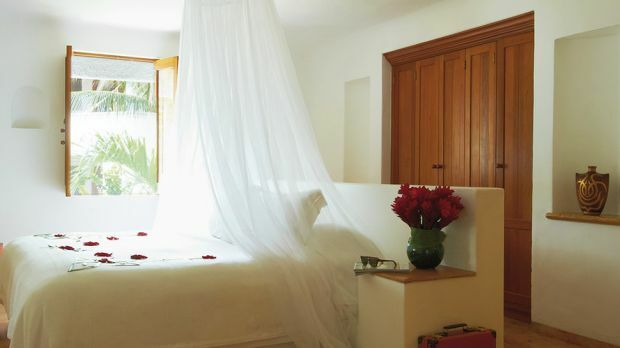 Features 1 King bed, ocean view, terrace, stunning Caribbean views and Wi-Fi Internet. Features 1 King or 2 Twin beds, terrace, sea view, sunken tub, shower and Wi-Fi Internet. Features 1 King bed, furnished terrace, garden and pool view, pantry and Wi-Fi Internet. Features 1 King bed, amazing sea view, furnished terrace, pantry, sunken tub and Wi-Fi Internet. 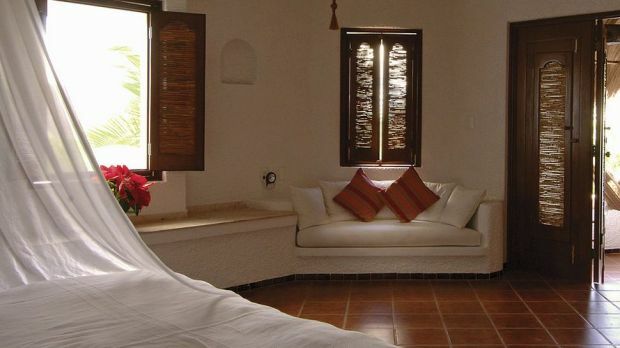 Features 1 King or 2 Twin beds, ocean view, plunge pool and terrace. Features a King bed, complimentary breakfast and WiFi Internet, furnished terrace and separate shower. Features a King bed, sea views, complimentary WiFi Internet, terrace, separate bath and shower, breakfast and minibar. 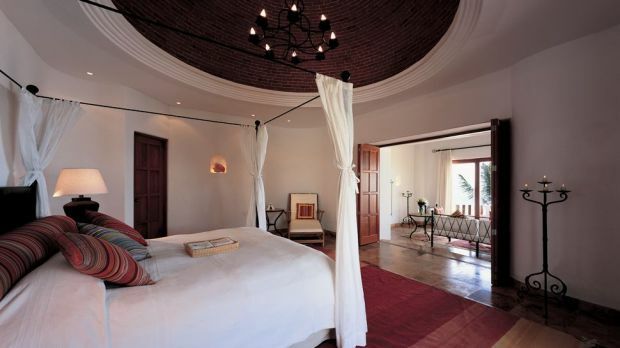 Features a King bed, private gym, private plunge pool, terrace and indoor and outdoor showers. Maximum occupancy of two adults and two children.